The 66-year-old, who broke an almost decade-long silence this year to release The Next Day, is up for six awards while the next strongest contenders Arctic Monkeys, Foals and Daft Punk have three apiece. Bowie's haul of nominations includes best solo artist and best act in the world, while his exhibition at the V&A Museum this year is up for best event. The influential musician dropped out of the public eye for years, but made a surprise return with his Where Are We Now? single and the album which followed. He is also up for best single, best video and best album. Bowie faces Vampire Weekend, Arctic Monkeys, Biffy Clyro and Foals for the best act in the world title at the ceremony to be staged in London on October 21 by Q magazine. The best album prize will see Bowie's The Next Day line up against Vampire Weekend's Modern Vampires Of The City, Daft Punk's Random Access Memories, Biffy Clyro's Opposites and Holy Fire by Foals. Current chart-topper Ellie Goulding who is up for two prizes - best solo artist and best track for Burn - said: "It's an honour to be nominated in these categories with these nominees." 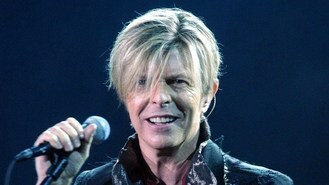 Senior editor of the magazine, Matt Mason, said: "The return of David Bowie proved that, even in the digital age, pop stars retain the ability to completely amaze and surprise us, while the phenomenal success of Daft Punk showed that you can still reach right across the globe with one great song." Comedian Al Murray will host the event for a fifth year. He said: "It's a thrill once more to be hosting what has to be the greatest event in the music calendar. Not that I can remember any of the previous Q Awards that I've hosted."